Opti-Life is such a welcome respite from the daily grind that you won’t want to leave. Luckily, you don’t have to. Stick around after your workout or your spa treatment and grab a refreshing smoothie in our ground-floor cafe. Or browse the bath products and luxury items in our retail shop. You can even use WiFi in our comfortable lounges, so you stay connected while you’re away from it all. NEW! Opti-Life Tumblers are now available for purchase at our cafe. Get your first smoothie for FREE at time of purchase and 10% off all smoothies whenever you bring in your tumbler! 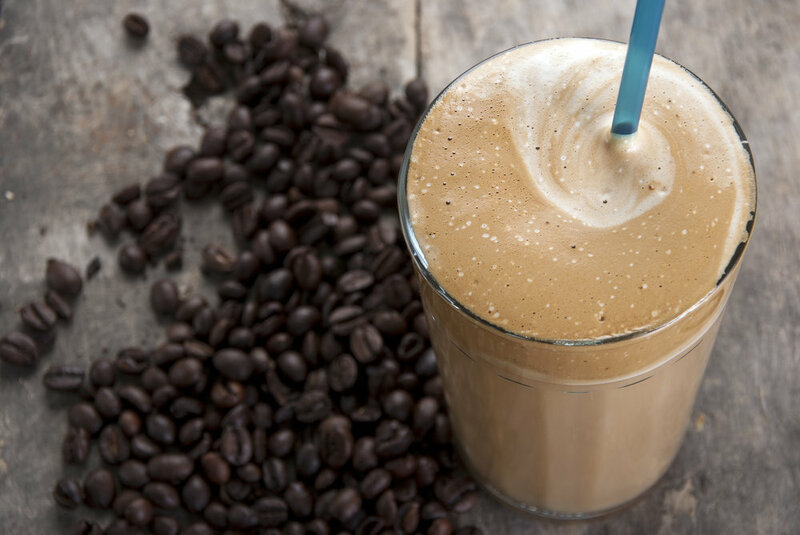 Start your day with a kick-start smoothie made with Nitro Joe's Cold brew coffee. This tropical smoothie will refresh your taste buds! Hit the reset button with this protein filled smoothie. Take back your day with this nurturing smoothie! Refill your electrolytes with this delicious smoothie! Coffee shouldn't be complicated. Nitro Joe's cold brew coffee is less bitter, has more body, and won't slow you down while you're on the go. We carry a variety of 86 Cold Press juices purest, nutrient-dense cold-pressed juice using all organic produce.